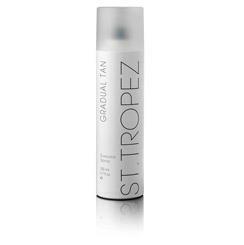 This ultra-rich, radical tanning duo combines a gradual self tan and a flawless finish of instant bronze specially for legs. Infused with soothing aloe and a marine extract, you will have a gorgeous natural-looking tan that lasts. Our innovative Aromaguard™ fragrance technology eliminates the tell-tale self tan aroma by a minimum of 70% and instead gives a beautiful subtle, yet refreshing fragrance.